There are people you see for first time, you don’t know them yet, but they make you smile. They make you feel happy. Québec City is like one of these people. The moment you see it, you feel happy with its picturesque and endless charm. So fairytale, elegant & stylish. It’s like a precious bijou that you can’t stop wearing. One of these cities you wish to return to, you just might change the season. 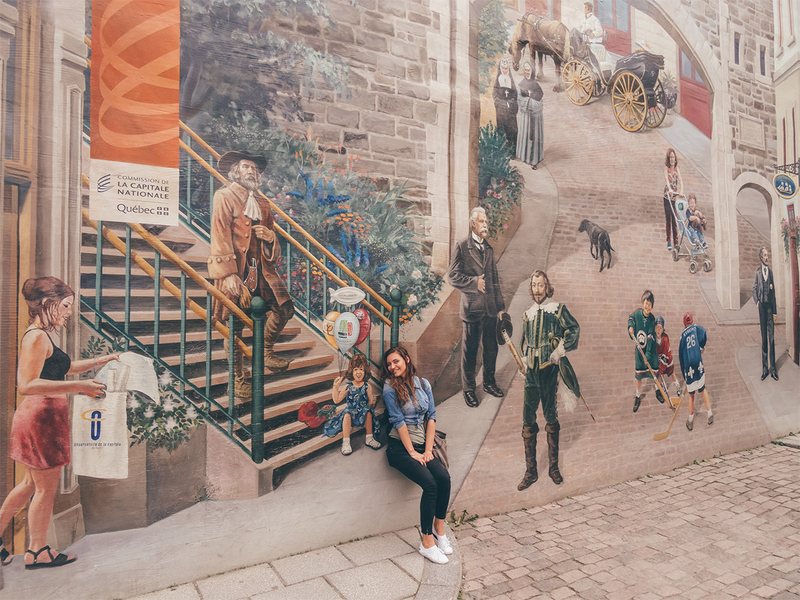 There are so many wonderful things to do in Old Québec. 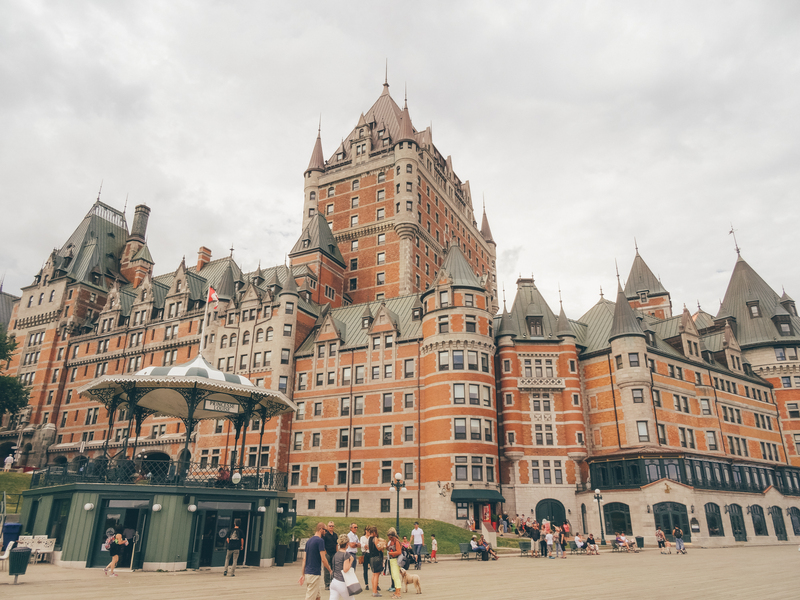 Аtop Québec’s upper town, Château Frontenac is the city’s emblem and the most visited attraction. It offers breathtaking views and historic architecture. Despite its name, it was never a castle. Built in 19th century, the National Historic Site of Canada was actually part of the series of “château” style hotels for the Canadian Pacific Railway company throughout Canada. Nowadays, it is possible to book a room, visit the Château for a drink or a meal or just to have a look of the foyer. 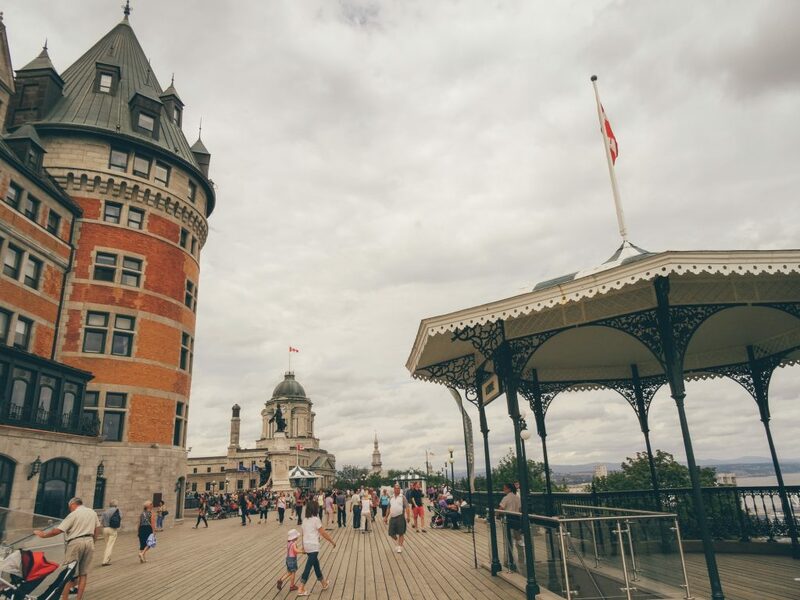 Wrapped around Château Frontenac, this beautiful terrace along the St. Lawrence River and towards the Citadelle of Québec, offers many interesting sights to take in as you stroll down. 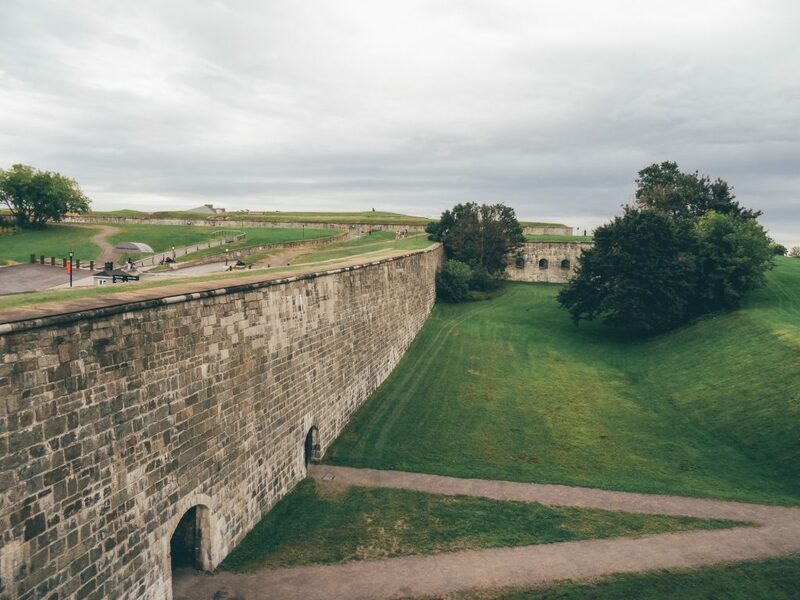 Besides the stunning views of the city and the river, there are Russian cannons captured by the British army during the Crimean War as well as the artificial fortifications of the Upper Town. The Funicular links the Upper and Lower Town (Haute-Ville) and (Basse-Ville) of Québec. The area of the Lower Town is a UNESCO World Heritage Site. It includes landmarks as the ancient Notre-Dame church, the historic Petit Champlain district, the port, and the Museum of Civilization. 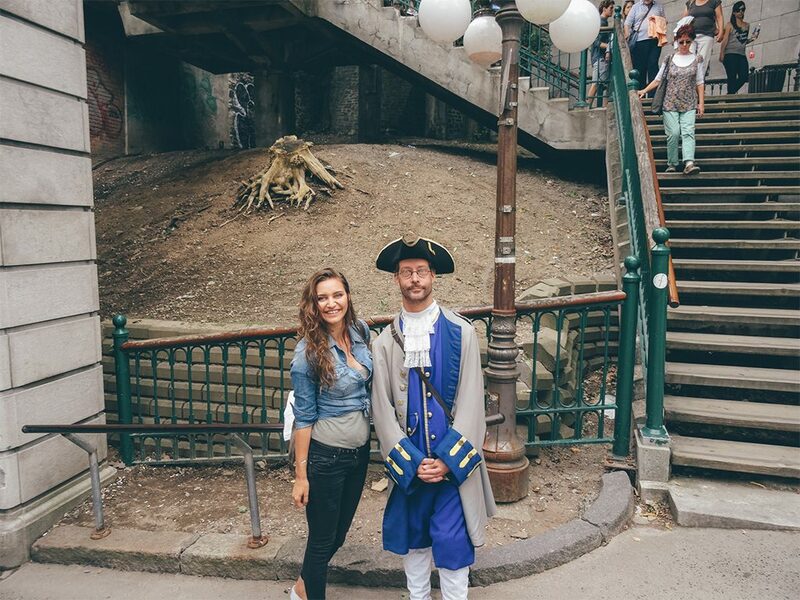 Although you can walk instead, it deserves to take the funicular in one of the directions. 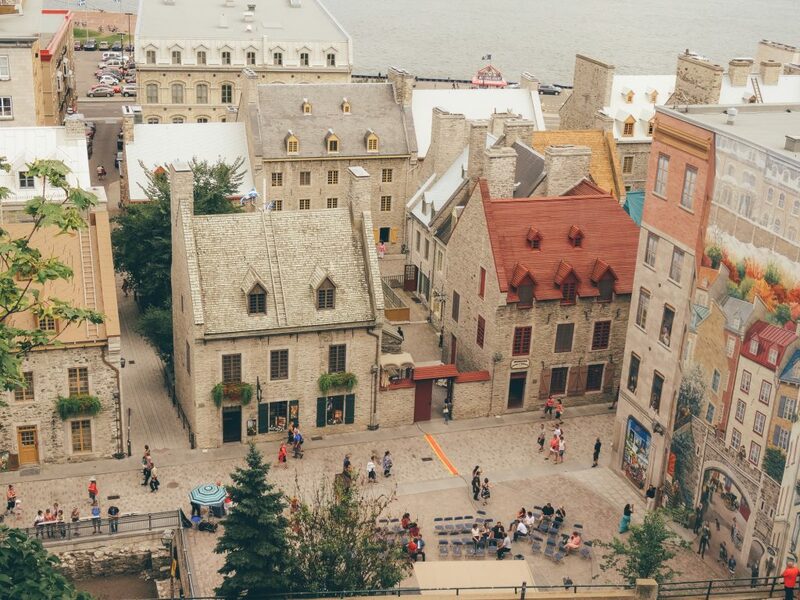 It does offer a great view of the river and the fairytale charm of Québec. Québec is also famous for its fine cuisine. There are many restaurants that are well worth a visit. 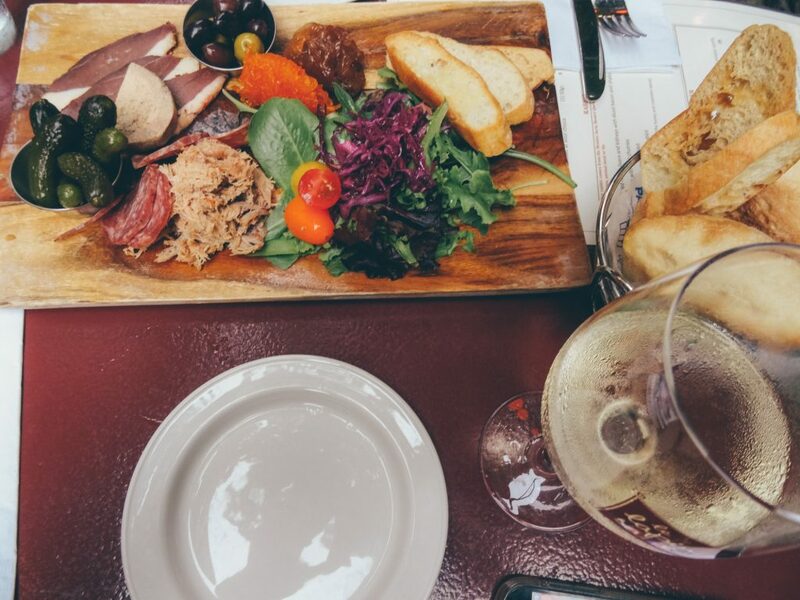 Booking a food tour gives you the opportunity to try local traditional meals where one is sure – it would be delicious. And a piece of advice – go hungry! :). The tour I did was the Historical Walking and Tasting Tour. 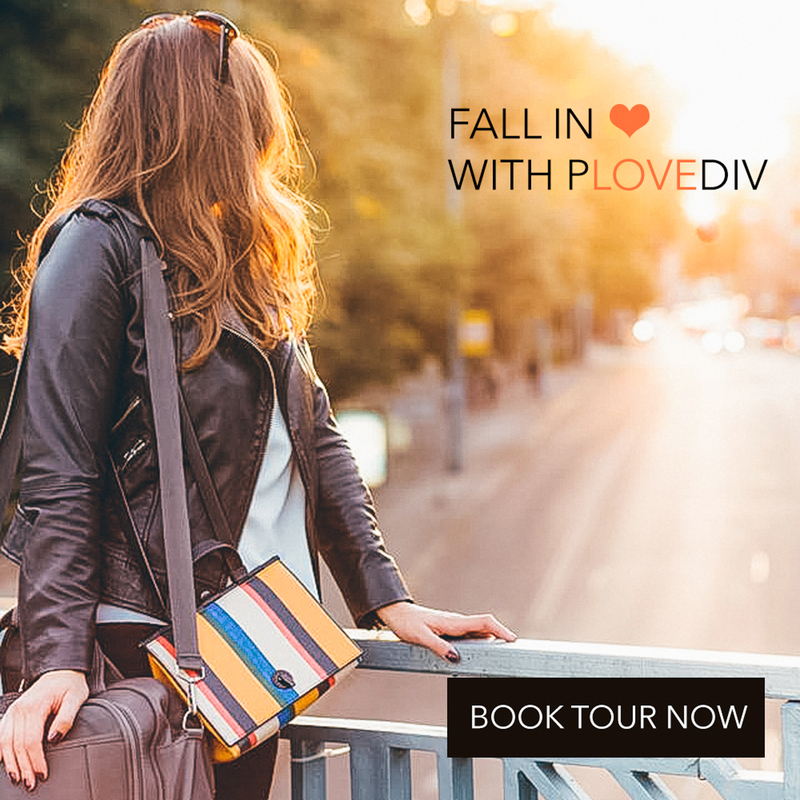 And the Gourmet Tour with Tasty Food and Stunning Views, I am going to try next. It’s a 5-course dinner cruise tour across the emblematic St. Lawrence River. 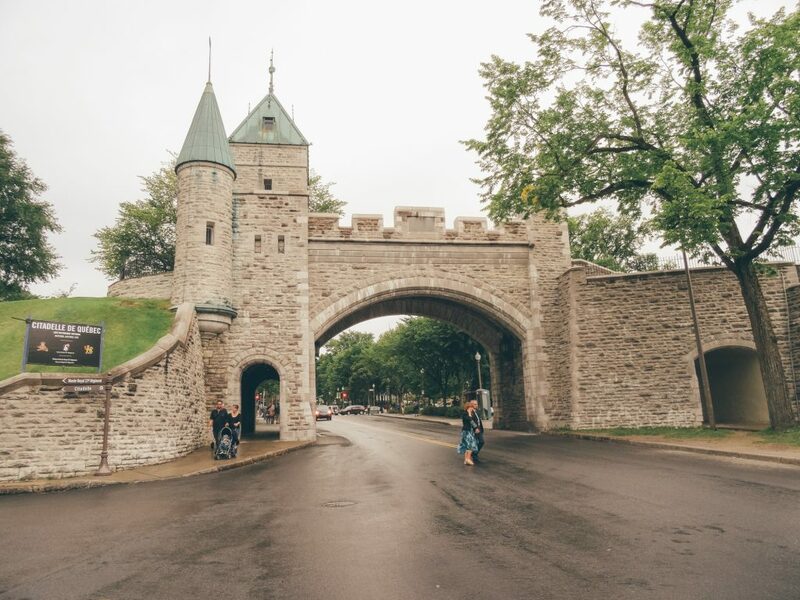 You are going to see the Citadelle of Québec from a different point of view, admire the beauty of the river and Montmorency Falls and the Île d’Orléans while tasting delicious food. You are going to hear interesting historical stories about the city and you can for sure dance the night after your meal. Mmmmm, I can’t wait to go againnnn :). 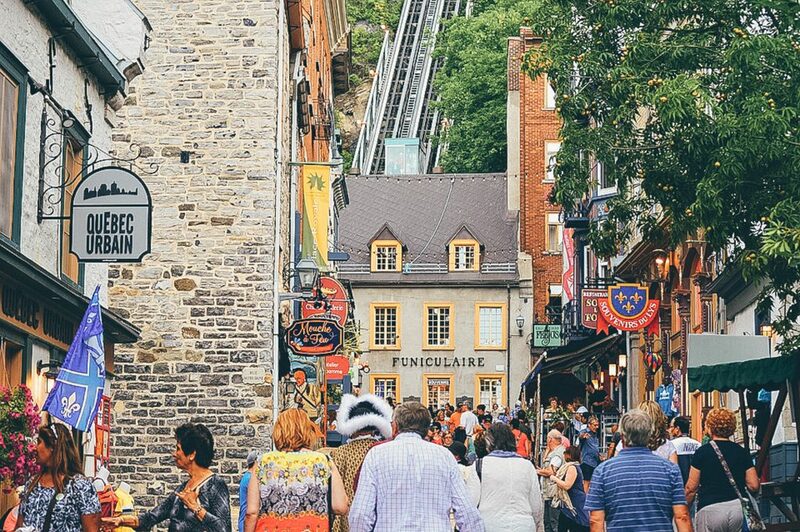 I give 10 to this great company Get Your Guide which offers diverse and really incredible tours in Québec and all over the world. Looking like a fairytale where everything is real. I can’t explain it with words. You have to feel it. Follow your heart and turn your dreams into reality. 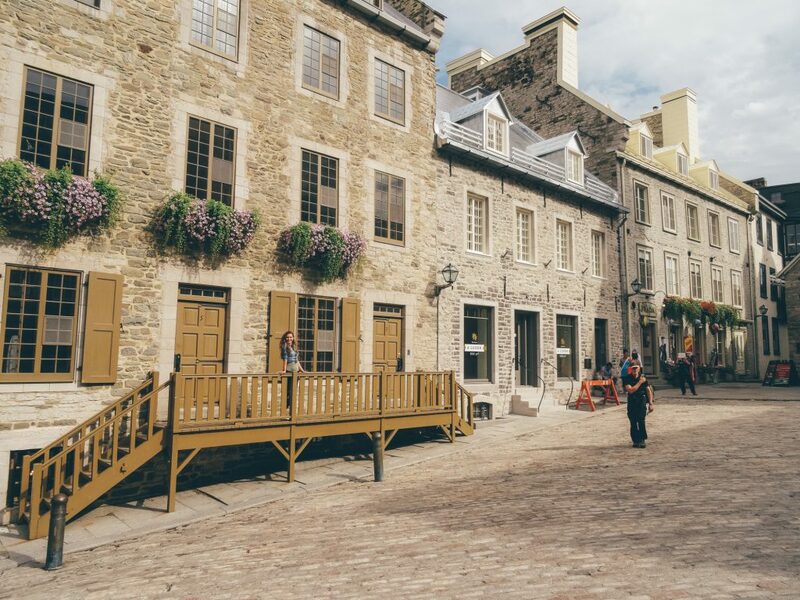 Québec City is forever in my heart. It was on my travel bucket list and after the first visit, it is again on it. Treat yourself the way you deserve. 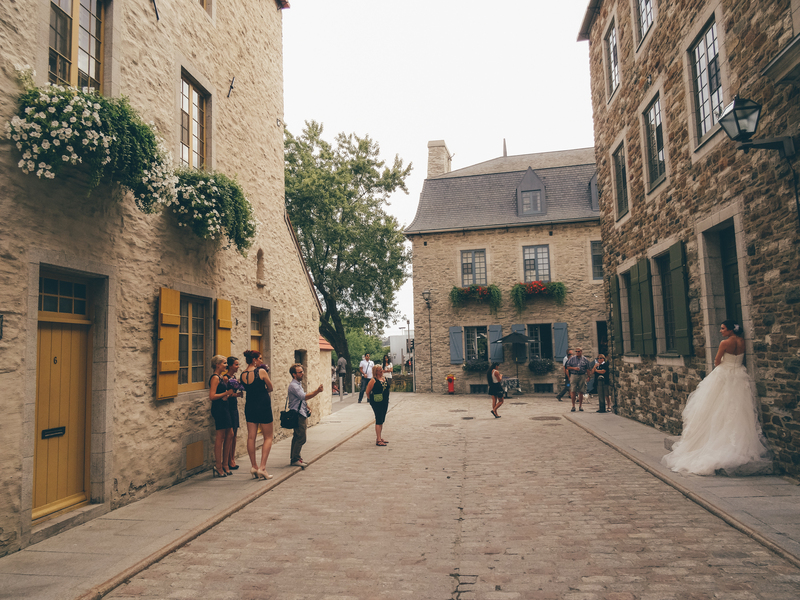 And if you dream to marry in a fairytale place, I can confirm this is a stunning wedding destination. During my stay of 3 days, I met more than 5 brides :). They made the atmosphere of the city even more romantic. 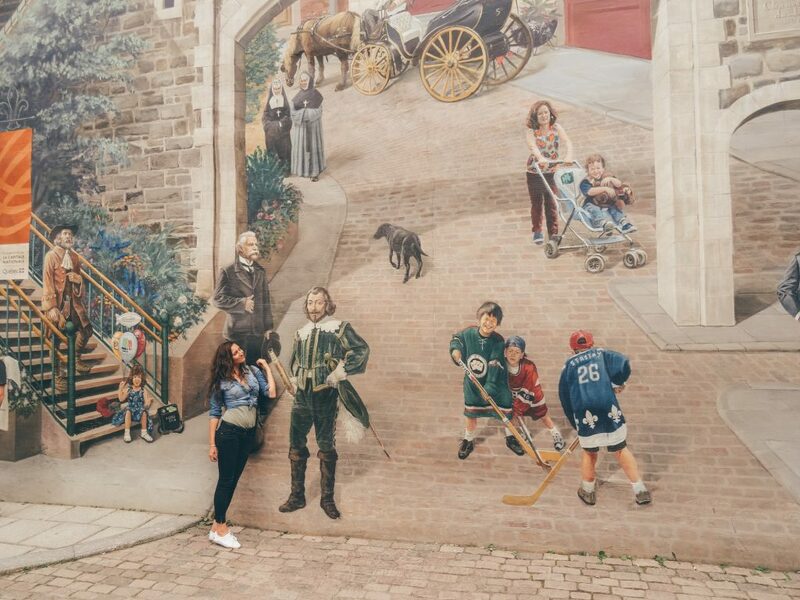 Festival d’été de Québec, artsy Loto-Québec fireworks festival, Fêtes de la Nouvelle-France, and if you’re brave enough for winter celebrations like Carnaval de Québec.These are some of the best and free-of-charge parties, you could pin for your stay in Québec City. 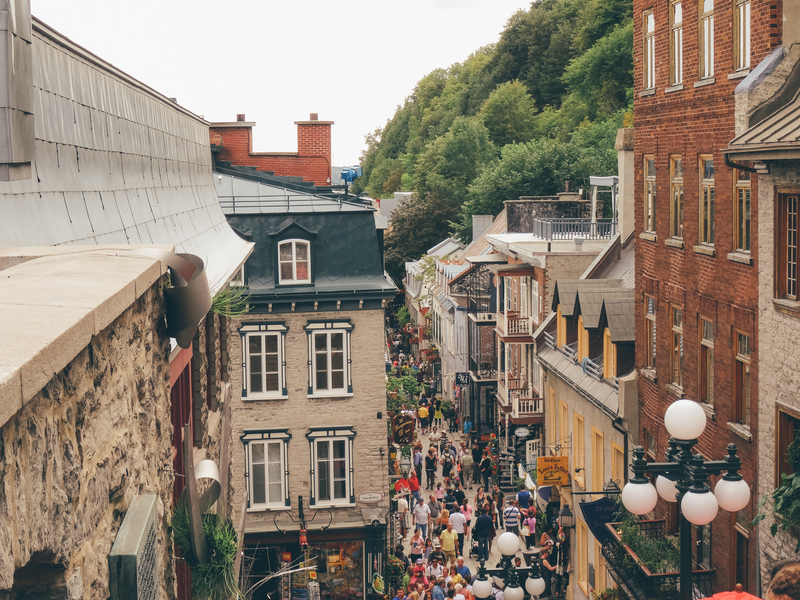 Québec City has the advantage to be close to many destinations, great for a day trip. 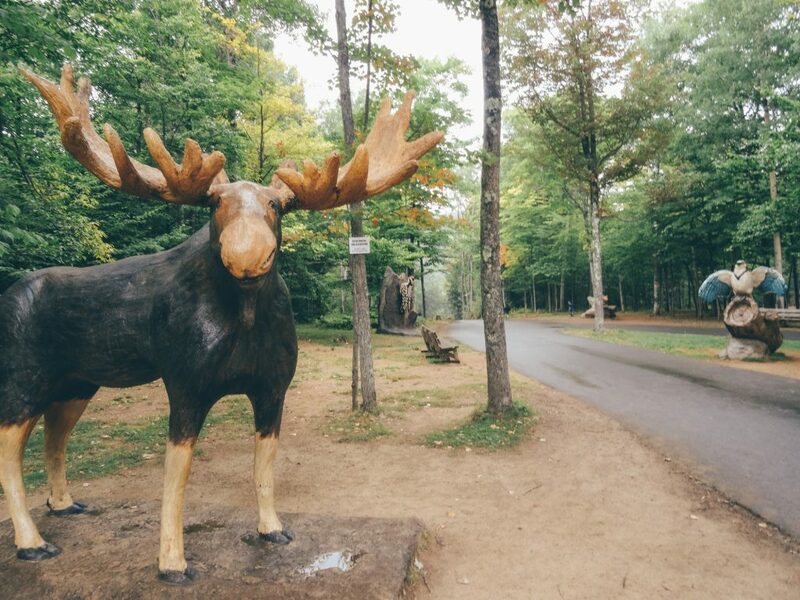 One of these is undoubtedly one of the most beautiful attractions in the region of Québec. An impressive canyon, carved into the bedrock by the powerful Sainte-Anne Falls. It is named to the Falls – Canyon Sainte-Anne. 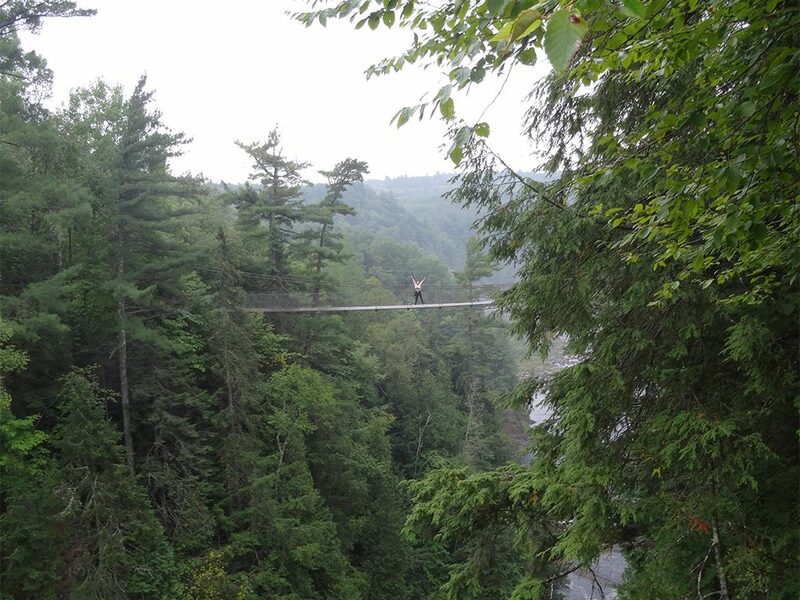 The trail passes through three bridges in different height, providing beautiful and outstanding views. I totally recommend it. It is one of the best things I have done. You should best have at least 4 hours to fully enjoy it. Every one of a hundred thousand cities around the world has its own special Christmas spirit and it is worth going there, just once, if only to see the Christmas lights and feel the fairytale ambience. 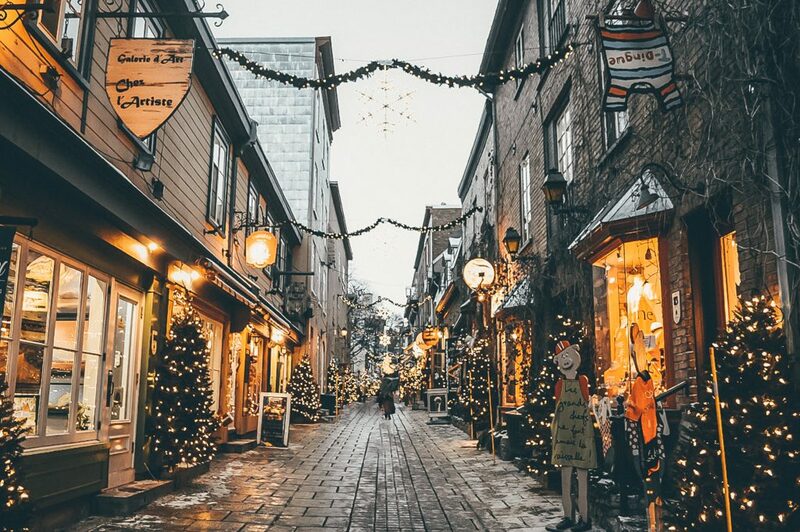 And to be utterly irresistible, in 2017, Québec City was ranked as one of the best Christmas destinations in the world. Enchanting decoration and an aura of magic and romance embraces the city every Christmas. See more Christmas photos and feel the magic here. 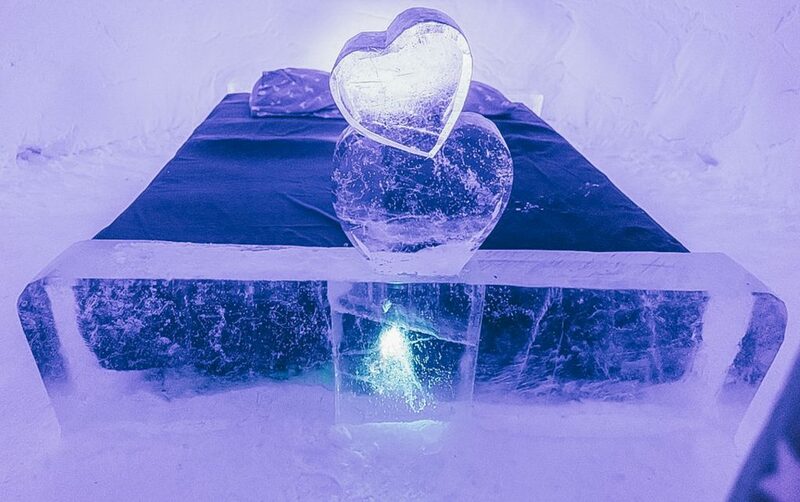 Enchanting art, ice and great memories. Hôtel de Glace is a stunning hotel, entirely built of snow and ice. 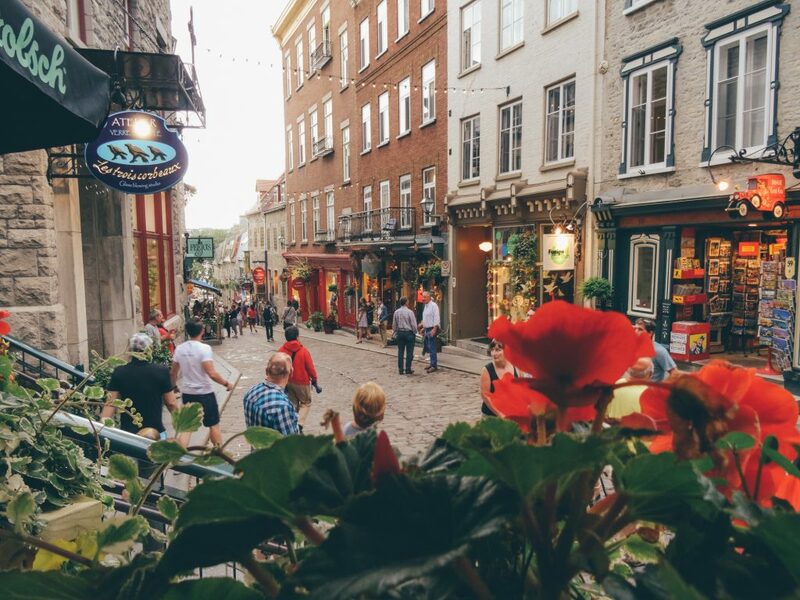 Enjoy the charm of Québec. Check it here. 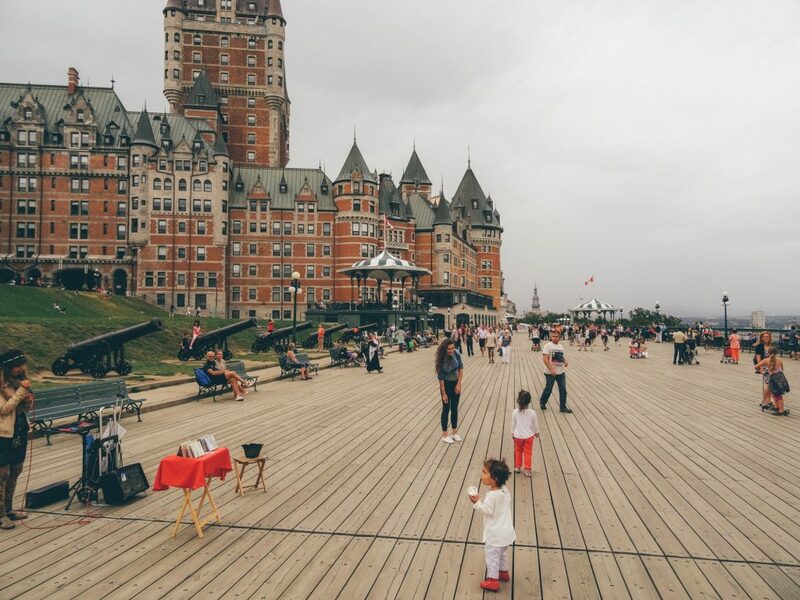 Thank you for the useful information about Québec.I am 100% going to visit this beautiful city.Thanks again because I am sure it took you a lot of time to make this phenomenal post!